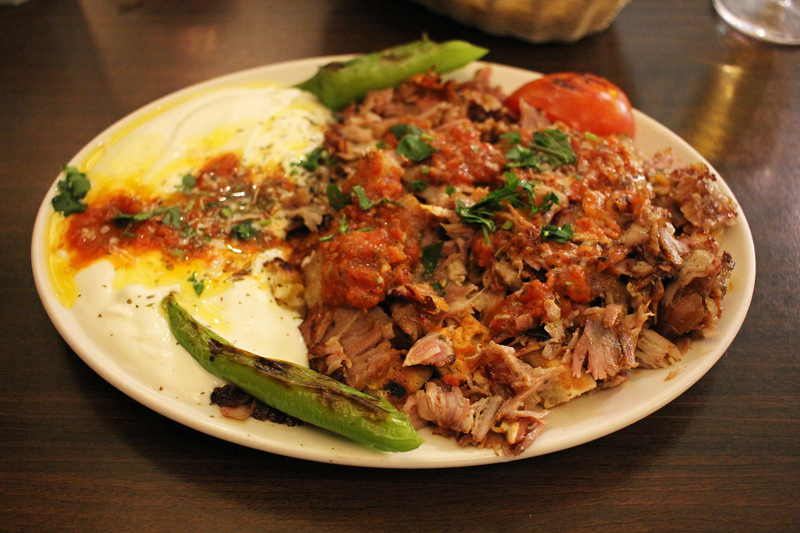 There are so many Turkish restaurants in Berlin that deciding which one to eat at can be a bit daunting. 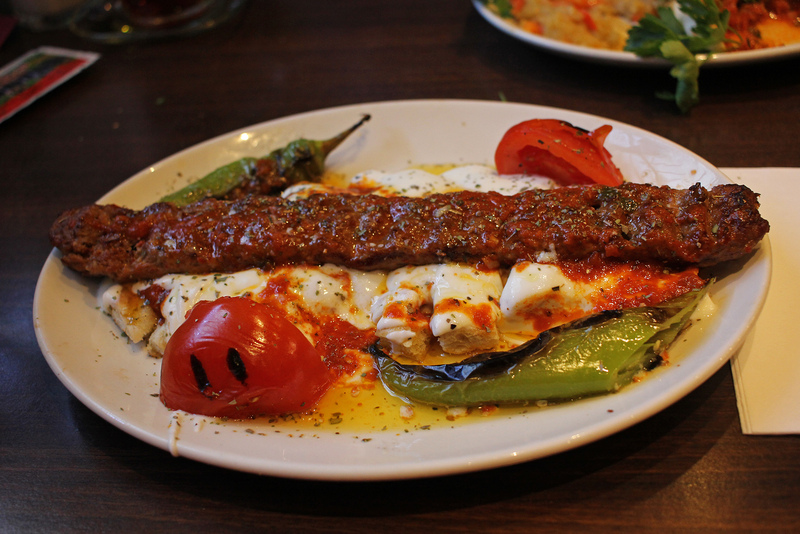 If I could only pick one, it would be Caglayan Grillhaus in Neukölln. 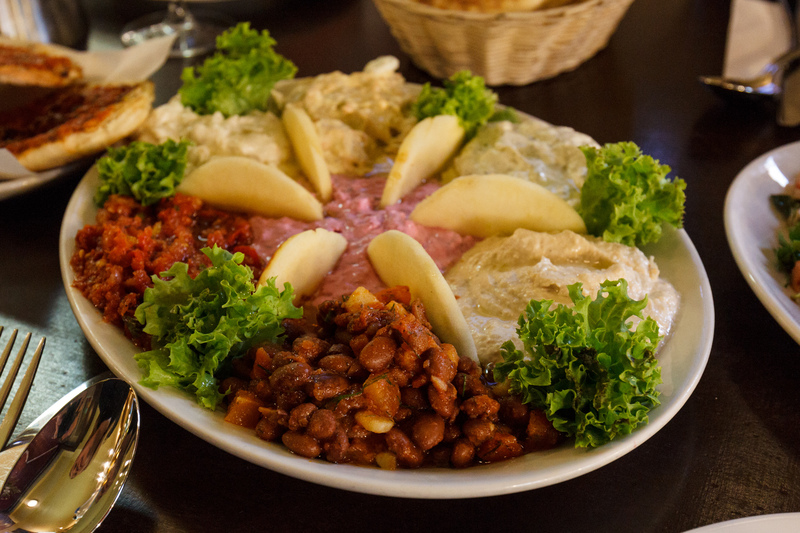 Caglayan is a family restaurant – two brothers run the kitchen and front of house respectively – on Hermannstraße, opposite the magic supplies shop, Zauberkönig on the edge of the Tempelhofer Feld. 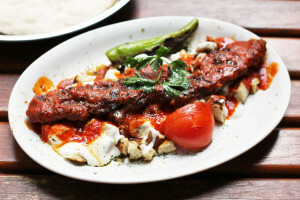 Caglayan has replaced Yeni Adana Grillhaus as my Turkish restaurant of choice and it was love at first bite. 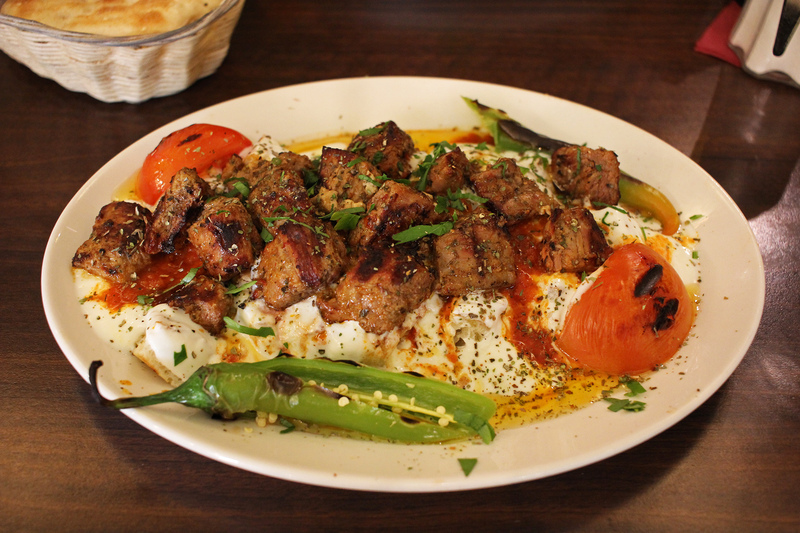 On my first visit with friends, I ordered the Beyti and I got some very envious looks from around the table when it arrived. 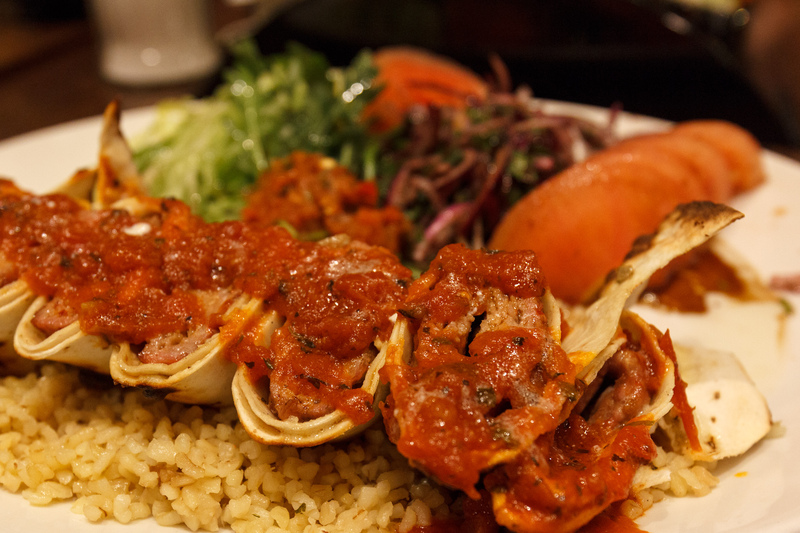 For those unfamiliar with it: Beyti is a kebab of ground lamb, grilled on a skewer and served wrapped in a flatbread with a tomato and yoghurt sauce. 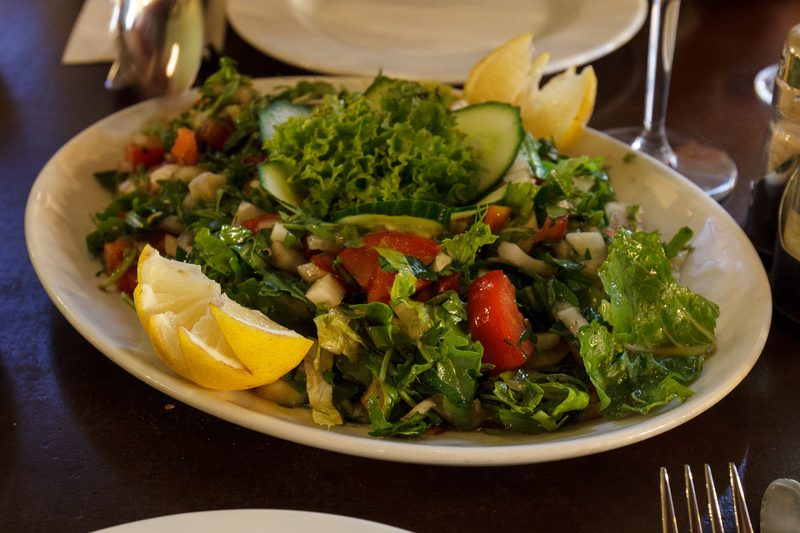 At Caglayan it comes with bulgur, a small salad, grilled peppers and a tomato & chilli dip that is to die for. 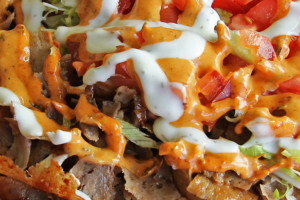 Most of the menu at Caglayan Grillhaus is prepared on an open charcoal grill in full view of the customers in the front part of the restaurant. 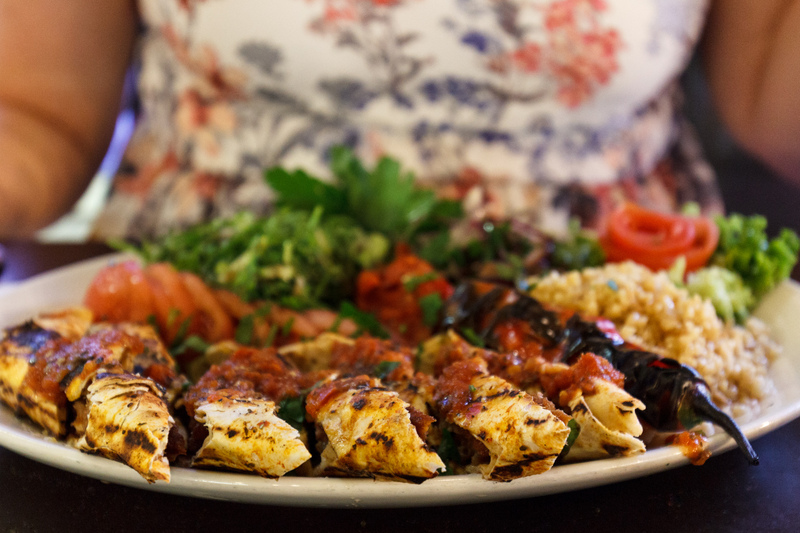 I love the sense of theatre that you get watching the meals being prepared and one of my favourite nights at Caglayan was spent at the table directly in front of the grill. I was fascinated watching as the chef adjusted the height of the grill to cook the meat perfectly. The attention lavished on the food is followed through in the presentation – with small touches like the tomato roses decorating some plates. 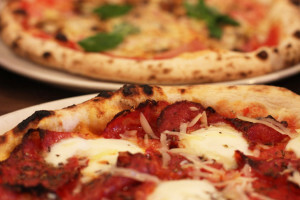 Bear in mind that preparing meals fresh to order in this way means that you may have to wait a while for your food but the wait will be worth it. 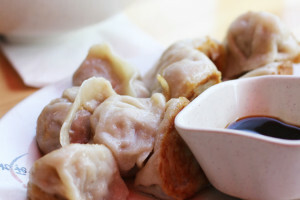 And the skill isn’t confined to the grill. The mixed cold appetiser plate is a real feast of flavours and the bread served with it is moreish. 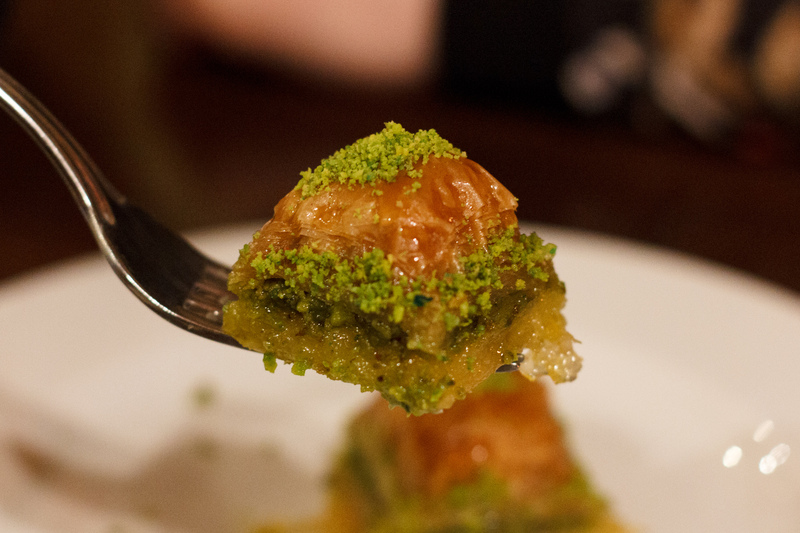 Though I’m not personally a fan, for the sweet-toothed, I’m told that the Baklava here is also exceptional. 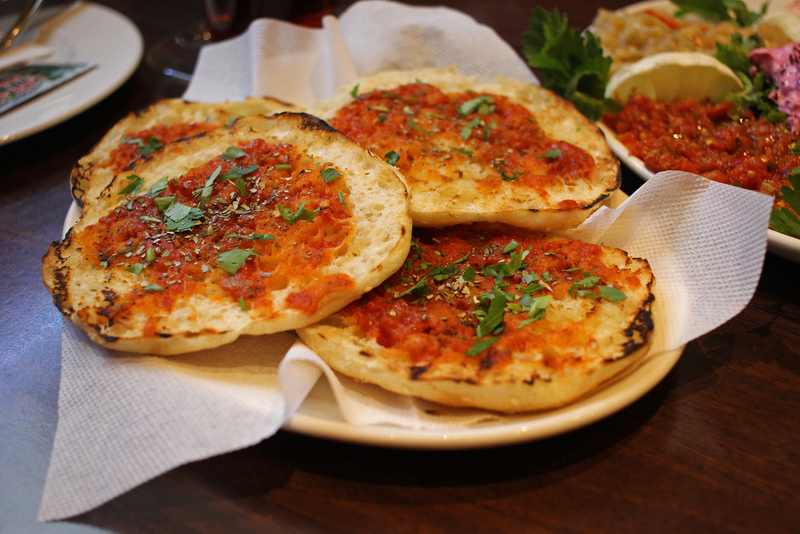 Despite the strong temptation to order the Beyti every time I go, I have managed to sample a fair portion of the menu by now and I’m yet to have a meal I didn’t enjoy. 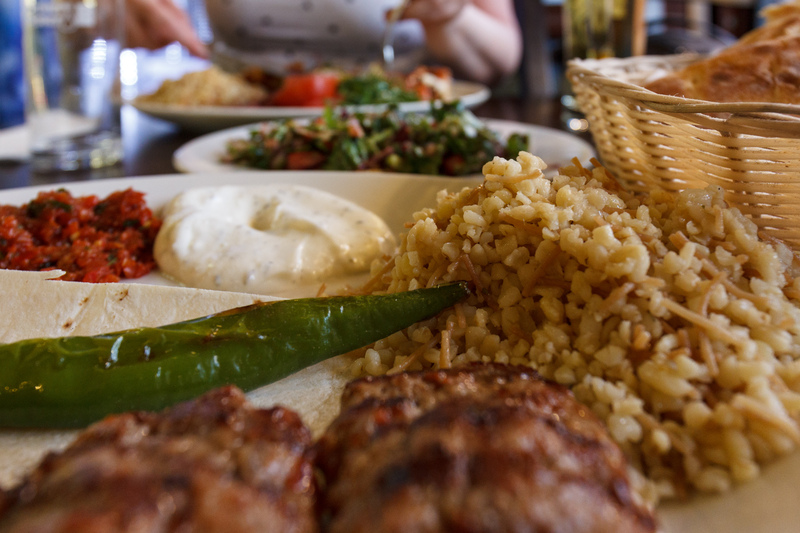 Coupled with the first class food, friendly service makes Caglayan a must-visit for anyone after a Turkish grill fix in Berlin. 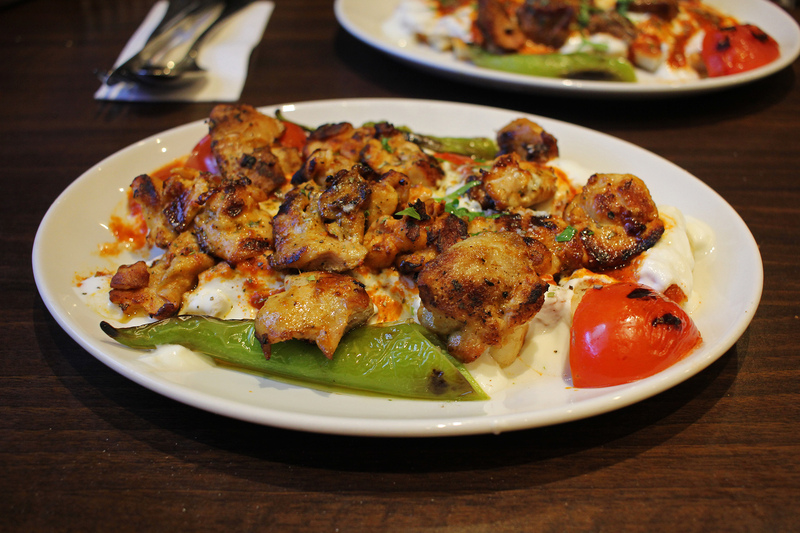 I have a sneaking suspicion that the chef at Caglayan Grillhaus may have benefited from some magic vibes drifting across the road from Zauberkönig, because there is some real sorcery going on in the kitchen – if in doubt, order the Beyti.